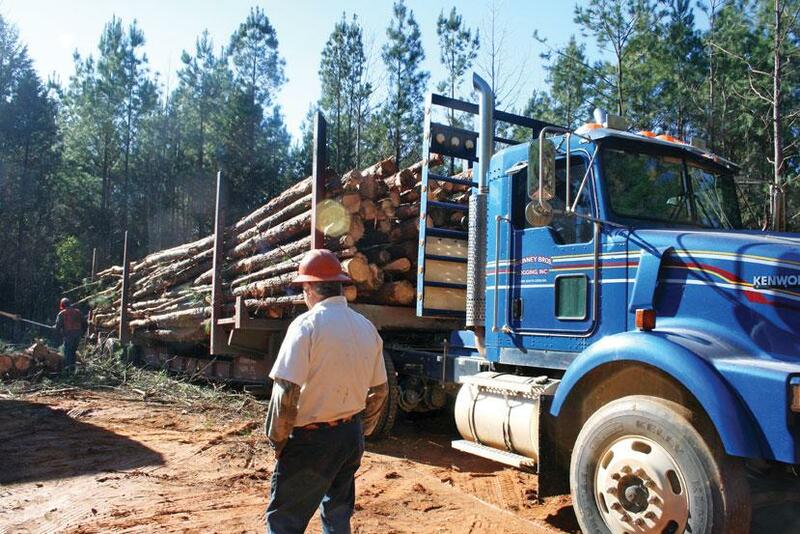 Southern Loggin’ Times’ February issue spotlights Jimbo Mashburn, who gets the most out of logging the wet flatlands of southern Arkansas and northern Louisiana with his company Mashburn Logging. Also highlighted are brothers Billy and Ricky McKinney, owners of McKinney Bros. Logging Inc., a member of the SC Timber Producers Assn. The brothers urge loggers to support their state associations and the ALC. The issue features the Kenworth White Paper on Fuel Economy to offer tips to truckers. The Nameless Texas Towns: Texas Sawmill Communities, 1880-1942 saga continues with a new excerpt in the serialization. Brothers Billy, 59, and Ricky McKinney, 56, own McKinney Bros. Logging Inc., a member of the South Carolina Timber Producers Assn. Billy has served on the board of directors for the last five years. The SCTPA meets about nine times a year, and Billy is careful never to miss a meeting. He is also closely involved with the American Loggers Council, attending all fall and spring meetings, and has gone to Washington, DC with the ALC several times to meet with legislators on behalf of the logging industry. 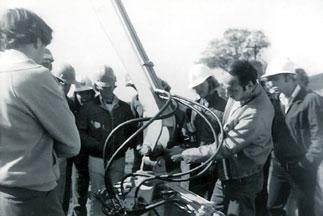 Billy received the SCTPA 2009 Gene Co­llins Logger Activist Award for his ef­forts and devotion to industry issues. 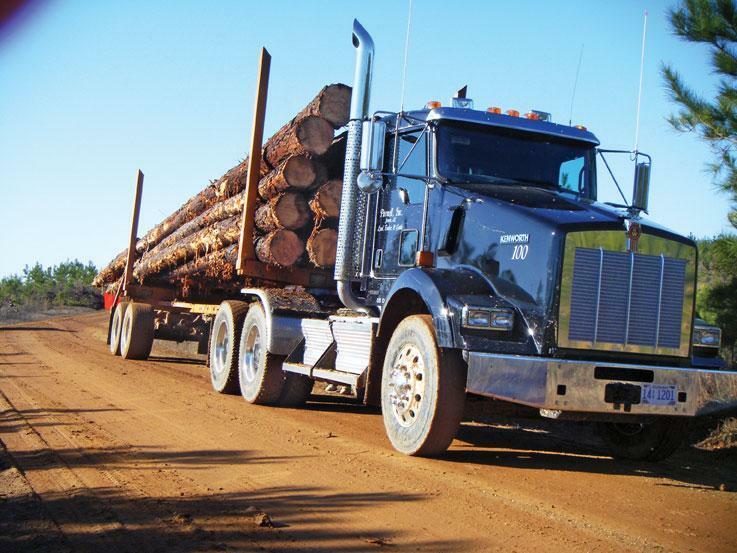 Kenworth Truck Co. has a history of using technology to improve fuel economy. This Kenworth White Paper on Fuel Economy will examine Kenworth’s range of activities and offer information designed to assist truckers and fleets in achieving the best fuel economy in their applications. During the early 1920s, the national spread of the “invisible empire” of the Ku Klux Klan brought the KKK into company towns, where the Klan seemed to have focused its attentions on social irregularities associated with the quarters-domino halls, “barrel houses,” illegal alcohol, gambling houses, prostitutes and Anglo-American seekers after these diversions. Companies were wary of the Klan, especially at first, but they resisted any organization that sought to compromise their social control of their towns, and they feared the KKK’s impact on black labor. 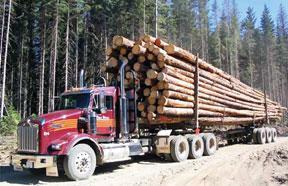 “That was the biggest mistake of my life,” William Lemuel (Bill) Abbott says of his logging career. “The second biggest was sticking with it.” Born in 1942, Abbott didn’t grow up in logging, but on a farm in Cabot, Ark. His father, John Floyd, born 1904, was a farmer, barber, and politician, serv­ing as the Lonoke County clerk. John had only one leg, the other lost to infection at age 11. This didn’t stop him from riding horses, swimming, and building with his own hands the home in which Bill grew up, and a small lake adjacent. A neighborhood has now been built around the lake, near Highways 89 and 67. Sensing an improving market, additional exhibitors are signing up for Timber & Biomass Expo Southeast, the south Georgia venue where the latest forestry equipment, systems and technology, and supplies and services will be demonstrated and displayed. 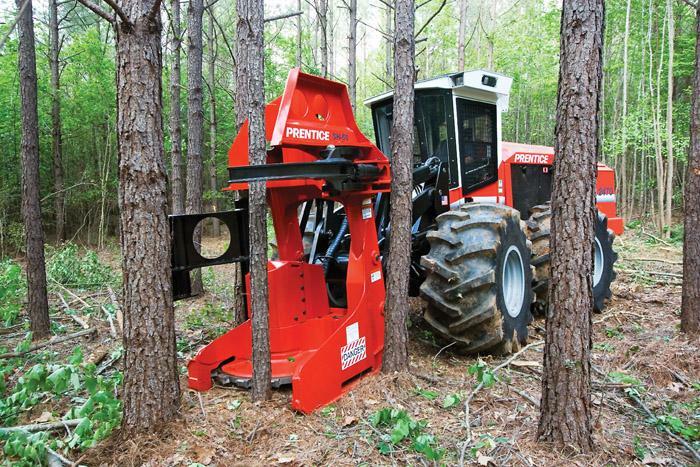 Sponsored by Hatton-Brown Publishers, the event is set for April 16-17 near Valdosta, Ga.
Caterpillar Forest Products has upgraded the hydraulic system and made other enhancements to improve performance of the 173 HP Prentice 2470, the 190 HP Prentice 2570 and the 220 HP Prentice 2670 wheel feller-bunchers. The company also recently made enhancements to the Prentice SH-50 bunching saw and is introducing the Prentice SC-57, a new center post saw.